Visions of H.O.P.E. 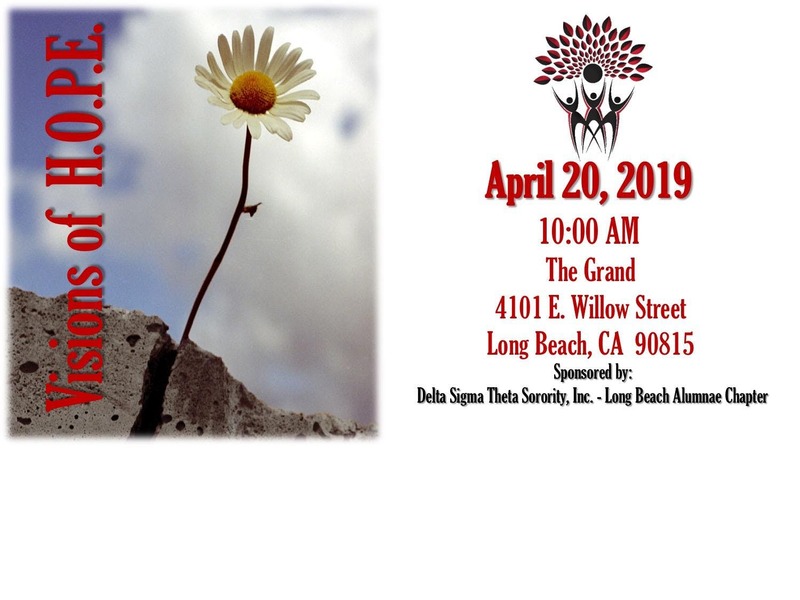 (Helping Others Progress Everyday) is Delta Sigma Theta Sorority, Inc. Long Beach Alumnae Chapter's signature event. We invite you to join us on Saturday, April 20, 2019 at The Grand in Long Beach, California, as we recognize and celebrate community trailblazers and our annual scholarship recipients. Includes all you can eat breakfast, entertainment, fellowship and even shopping options (vendors). We look forward to seeing you on Saturday, April 20, 2019 at Visions of H.O.P.E.